Lions may be kings of all animals but cats are certainly kings of all pets! They are the favorite pets in the U.S.A and no one can outsmart and trick them! So far, beside the fact that cats can really show they love you, a lot of us learned the hard way that owning a cat can be absolutely adorable, but sometimes very stressful experience. You've seen that cats can be jerks and that they can turn your life upside down just so it could fit their desires. 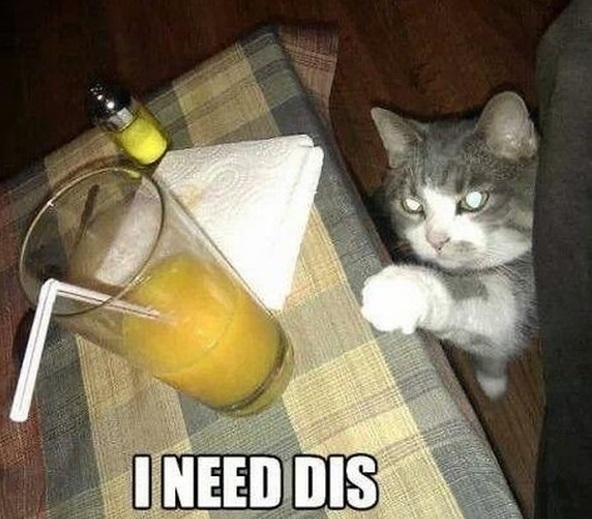 Next pictures will show you other, a bit funnier, things that every cat owner experiences. “I have to do what I intended, otherwise I will not be a cat anymore!” If you’re a cat owner, then we are sure that your day looks exactly like this… You can never be bored with a cat! 2. An item went missing? How many times has it occurred to you that you were looking for your socks, favorite shirt and accidentally found your cat playing with it? Well, many times, I guess. Even though cats have no regard for your personal belongings or intimacy, you always have who to blame for everything missing or broken at home. Yes, they have their own food, and yes, they quite like it; but there’s nothing like a good stake here and there, especially if it’s in your plate. 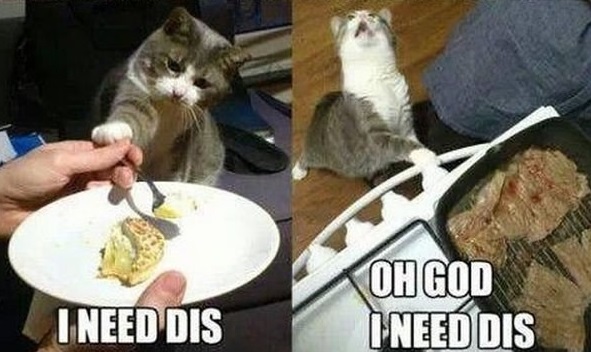 Oh, and yes, there’s nothing like spoiling a human’s meal every now and then. Unlike dogs, cats don’t have that puppy-sad-ish look that makes you fall under their charm, so finally, you can’t help it but give them at least a bite of your tasty lunch. They just try to take what they want, because – of course – they need it! 4. Sleeping with your cat – well, think again! I myself have a lot of friends who own at least one cat. Sometimes, I sleep over at their place and somehow I always wake up surrounded by paws. In theory, it is nice to take a nap with your pet friend, to fall asleep listening to their purring which is very relaxing. But the moment you are sound asleep, cats are all over you – on your head, on your belly, on your feet, so you become paralyzed. 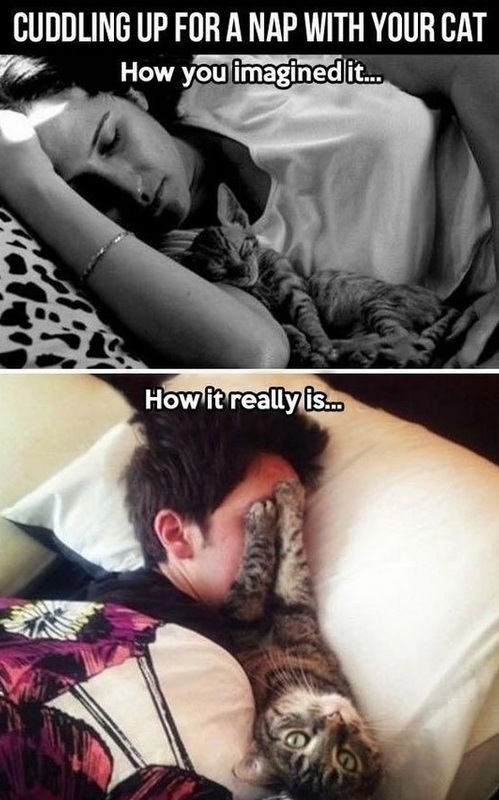 I believe you’ll agree with me – sleeping with cats never goes quite as planned, now does it? You know how people who have little children suddenly redecorate their living room, removing everything at children’s reach. 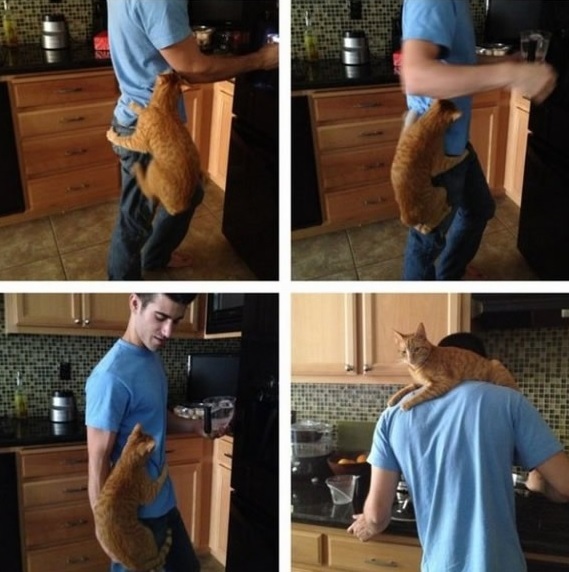 Well, you should do the same if you own a cat. 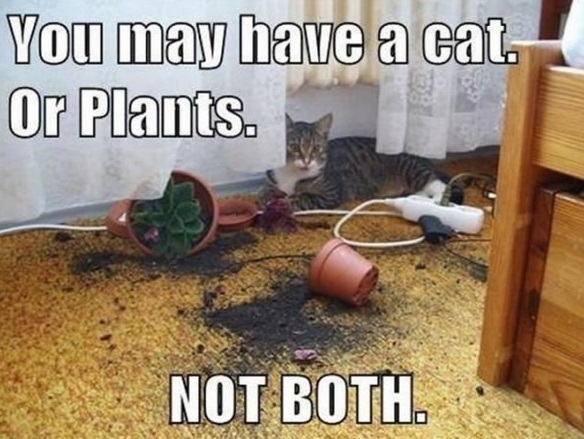 Once the cat walks through your door, you can immediately forget about (expensive) vases, plants, ornaments, sometimes even curtains if you don’t want to end up like the owner of this cat on the following picture.